I can barely believe the end of the school year is almost upon us. 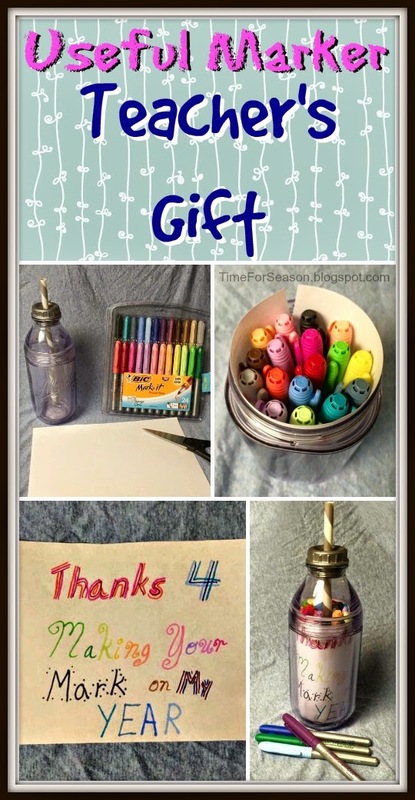 More and more I'm trying to find USEFUL teacher's gifts. 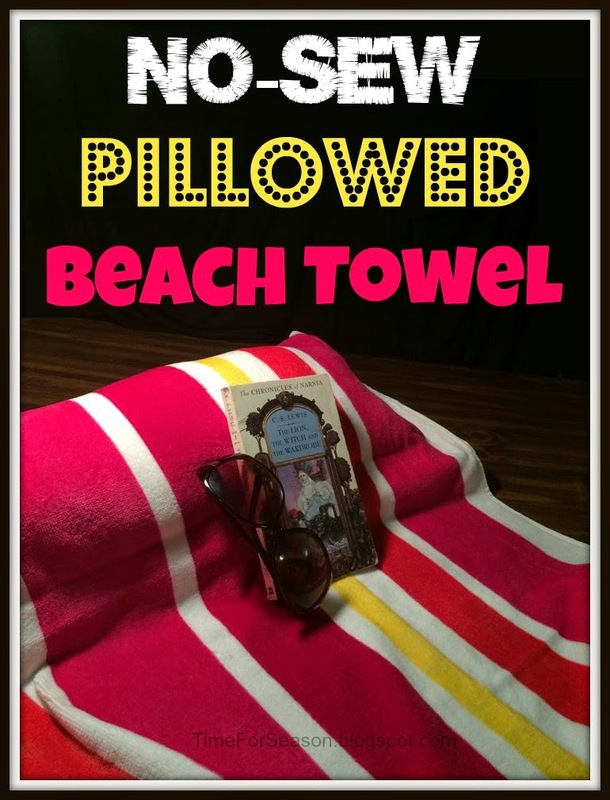 Rosey Posey came up with this idea for one of her teachers. 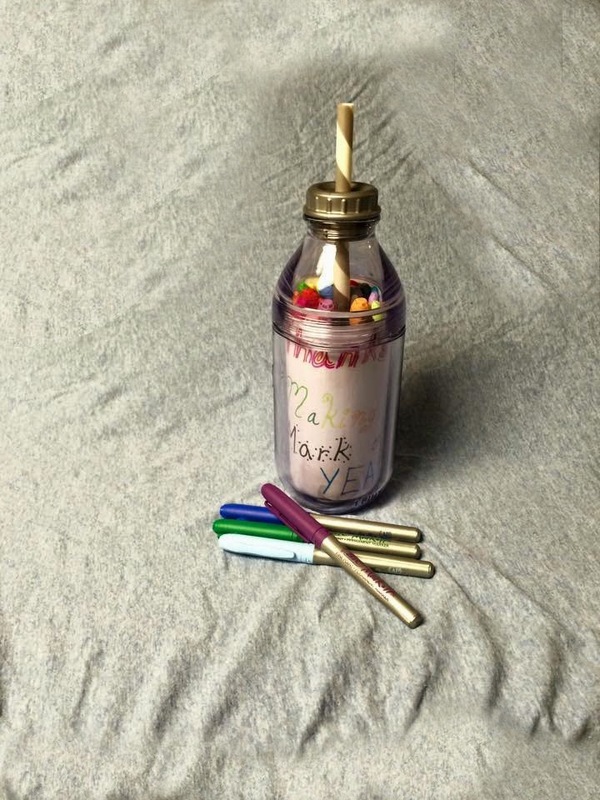 This wonderful gift provides teachers with colorful markers AND a useful water bottle! 1. 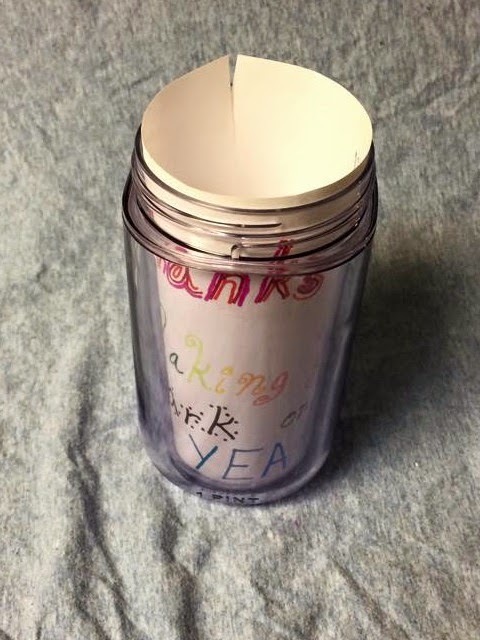 Measure and cut the card-stock to fit into the container. This is one of the few times I think it would be okay to use the gift before you give it ;) Draw a personal message on the card-stock. 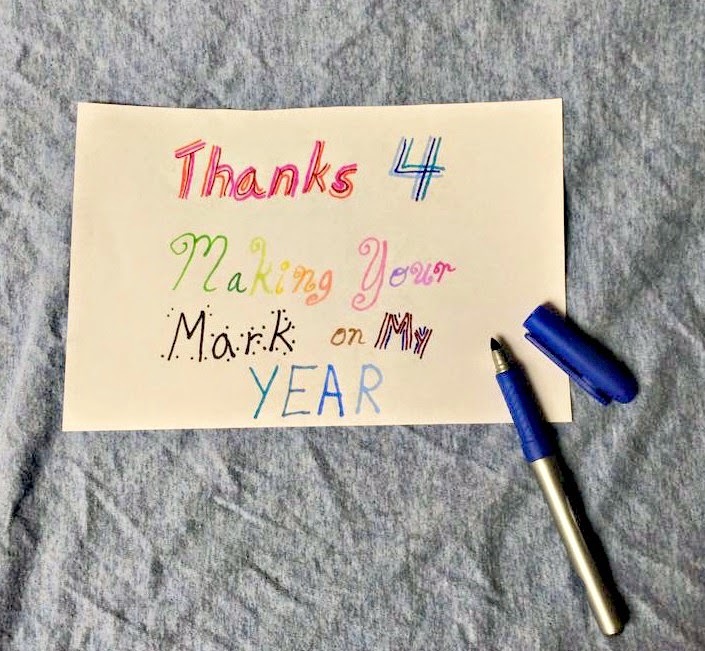 Since we used Mark It markers, we wrote "Thanks 4 Making Your MARK on My Year". If you use Sharpies, you could write "Thanks for making us wise and Sharp!". Rosey Posey just wrote "Thanks for being a great Teacher!". Make it anything you want. 2. 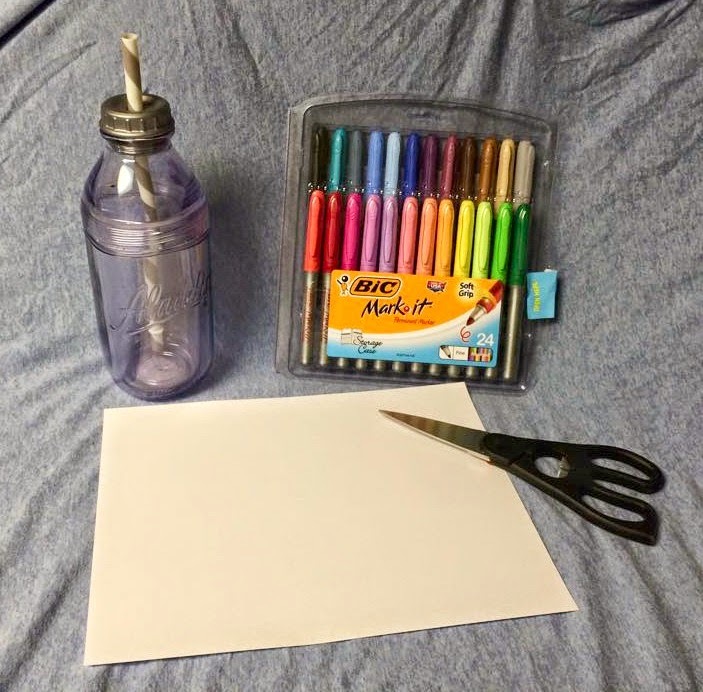 Put the card-stock into the drinking container. If the container has writing on it (This one said "Aladdin") make sure to position your message so it's readable. 3. 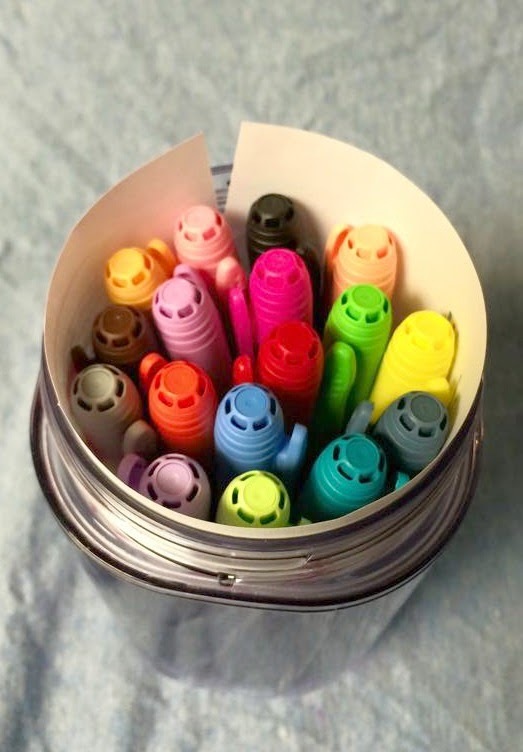 Fill with colorful markers. 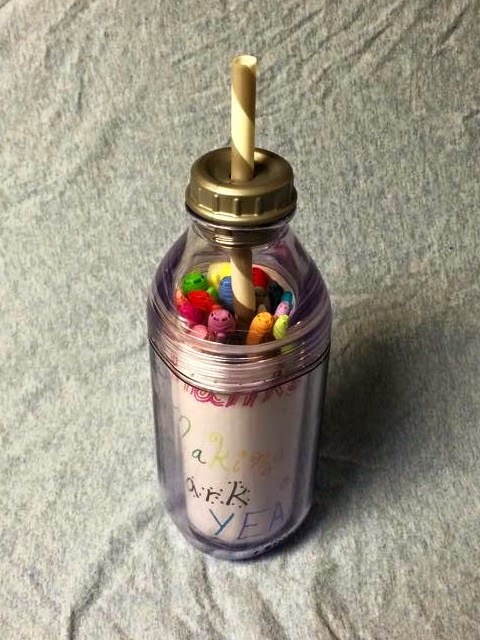 This project is all about a personal 'thanks' and giving a useful gift. There's no need to fret over your design ;) With younger kids, just let them draw a nice picture. Trust me there will always be smiles in the end!